A farmer identified as Ajayi Bayode was arrested by the Ondo State Police Command for allegedly killing a Fulani pastor identified as Abubakar Alidu. According to Punch, Alidu was allegedly killed by the suspect after a disagreement between them last Saturday at the suspect's farm in Arigidi Akoko, in the local government area of ​​Akoko Northwest of Ondo state. One source reported that the fight occurred between some Fulani herders and the suspects, since their cows allegedly destroyed the plants on the suspect's farm. The source said: "There was a heated argument between them on the farm." 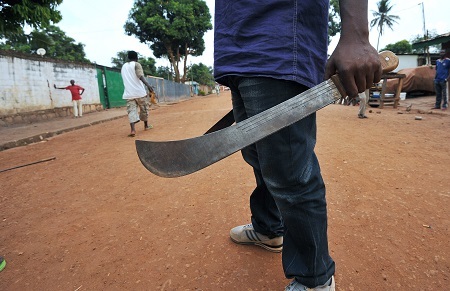 This led to a fight and the deceased and his colleagues attacked the farmer with machetes. "To defend himself, he (suspect) pulled out his gun and shot the shepherd." However, the Public Relations Officer of the Ondo State Police, Mr. Femi Joseph, said Bayode, who is currently receiving treatment at the state hospital, Ikare Akoko, will be charged in court for murder. He said the investigation had revealed that the suspect allegedly killed Pastor Fulani, adding that Bayode had also confessed to having committed the offense. He said: "He (suspects) told us that the deceased hit him with a stick, while he complained to the shepherds that they had destroyed the crops on his farm. "He also told us that he did not intend to kill the deceased, that he took out the gun to scare the Fulani man and his friend, but the bullet hit and killed the deceased by mistake. "So, this is a pure murder case, even if the deceased had used a stick to hit him, that does not mean he should kill him too." Joseph also stated that the state police commissioner, Mr. Gbenga Adeyanju, ordered that the case be transferred to the command's Criminal Investigation Department, adding that the suspect would be charged in court as soon as he leaves the hospital.